The Income Tax department (I-T Department) has simplified the disclosure norms for payments to non-residents, with most of these up to Rs 5 lakh in a year no longer to be disclosed in forms 15CA and 15CB. Beside, payment for imports do not require these two forms. Also, a certificate from a chartered accountant is only required for such payments which are taxable. The forms would have to be filled if the amount of payment in a year exceeds Rs 5 lakh. 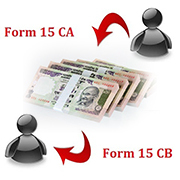 No forms 15CA and 15CB will be required to be furnished by an individual for remittance not requiring Reserve Bank approval under its Liberalized Remittance Scheme.